Potholes and dirt trails are handled with ease as you make your way to our newest destination. 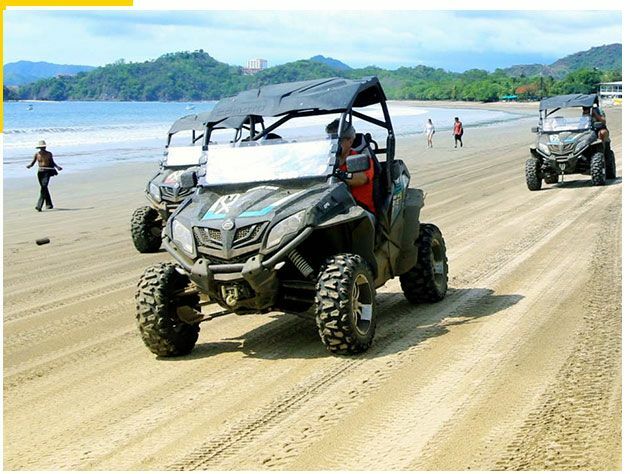 Upgrade your ATV to one of our new AWD UTV Off-Road Buggies and enjoy four hours of ecological fun even more exploring Guanacaste’s rugged mountains and coastline. Our newest guided tour will take you on an adventure of a lifetime as you explore the back roads and trails using one of our new UTV two-seater buggies. Potholes and dirt trails are handled with ease as you make your way to our newest destination. Nestled in the foothills of Guanacaste lies Diamante Eco Adventure Park, home to the only Sloth rescue refuge in the area. Known for their wildlife rescue work, Diamante rehabilitates injured, orphaned or confiscated wildlife at their state of the art facility in Playa Matapalo. 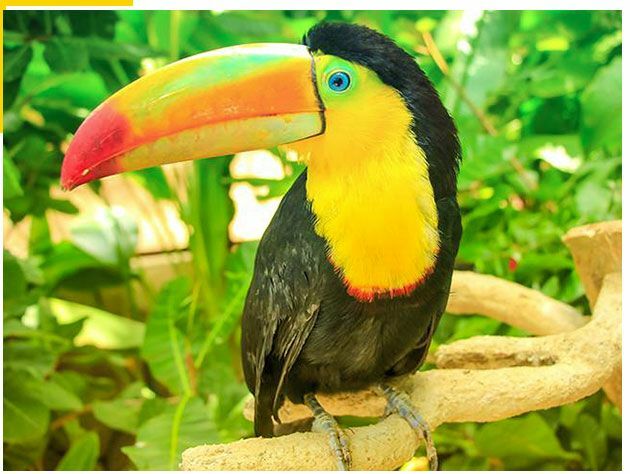 A visit to Diamante’s animal sanctuary will not only bring you face to face with a family of Two Toed Sloths but also white faced Capuchin monkeys, Toucans, Spider Monkeys, Marmosetes, Gray Foxes, Crocodiles, Caimans, Turtles, Iguanas, Butterflys, Frogs, Parrots, Small birds, Wild Turkeys, Snakes and more…such as our jungle cats Ocelots, Jaguars, Margays and Pumas. Once you have had your fill of wildlife jump back in and drive your off-road buggy back down to sea level where you will visit 3 different beaches and have opportunities to swim, snorkel or just relax. Your guide will show you the best spots and points of interest and take pictures for you along the way. By the end of your tour you will have plenty of fun pictures to share with your friends and memories to last a lifetime.